“Fairy Party” Enter the enchanted forest with this magical party and, with a sprinkle of fairy dust, have lots of fairy fun. 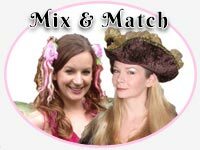 “Mix & Match Party” Do have you have lots of girls and boys attending your party? 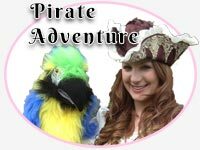 Whether they are Princesses and Pirates, Princesses and Superheroes, Fairies and Pirates, Fairies and Princes or any combination you like, this party caters for everyone. “SuperHero Party” Who doesn‚Äôt want to be a Superhero for the day? Invite a real Superhero to get you and all your friends ready for Superhero training camp! Get ready to be awesome! 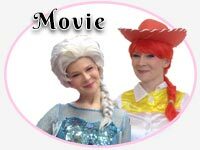 “Movie Party” A customised party made just for you. Simply tell us your favourite movie and we will create the party of your dreams based on your favourite on screen story. Take a closer look for some ideas and see what other parties have been created from the silver screen. Enter the enchanted forest with this magical party and, with a sprinkle of fairy dust, have lots of fairy fun. 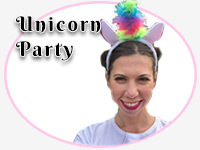 Choose from our ‘Fairy party’, ‘Fairies and Magical Creatures party’ or ‘Unicorn party’. 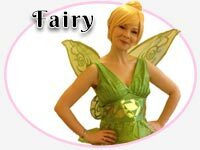 Your entertainer can perform as either your favourite fairies, unicorn or our Spellbound Fairy Princess as they travel all the way from a magical land to guide your little pixies through a magical party with fairy wands, fairy glitter tattoos, lots of fairy dancing, medals, sweets and prizes. Sit on the toadstools, find the lost treasure, dance with the rainbow ribbons and play lots of action games at a party to remember. 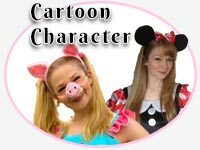 Do you have lots of girls and boys attending your party and don’t know which theme to choose? Whether they are Princesses and Pirates, Princesses and Superheroes, Princesses and Princes or Knights, Fairies and Pirates, Fairies and Princes, Fairies and Superheroes, Unicorns and Dragons or any combination you like, this party caters for everyone. Your guests can come to the party in their favourite costumes and all games and activities will be personalised for your specific ‘Mix and Match’ choice. 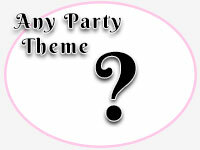 Do you have lots of girls and boys attending your party and don’t know which theme to choose? Whether they are Princesses and Pirates, Princesses and Superheroes, Fairies and Pirates, Fairies and Princes, Fairies and Superheroes, Unicorns and Dragons or any combination you like, this party caters for everyone. Your guests can come to the party in their favourite costumes and all games and activities will be personalised for your specific ‘Mix and Match’ choice. A customised party made just for you. Simply tell us your favourite movie and we will create the party of your dreams based on your favourite on screen story. The stories from the silver screen are brought to life with music, games and party adventures. Why not invite your guests to dress up as the characters from the movie? Whether the setting is a Winter Wonderland, a Toy Playroom, a Galaxy far far away or a place where anyone can be ‘awesome’, this is the perfect party for any devout Movie fan. Who doesn’t want to be a Superhero for the day? Invite a real Superhero to get you and all your friends ready for Superhero training camp! Get ready to be awesome with this favourite party with all boys and girls. Capture the villain and get them wrapped up in the web, find the Kryptonite treasure, fly around to the Superhero homes, complete the Superhero assault course and take home lots of prizes and goodies with this supersonic party theme. Power Rangers and Transformers Party also available. 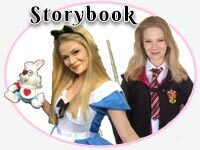 We love reading stories and this party lets us turn your favourite book into a party to remember. We offer an Alice in Wonderland party, a Charlie & the Chocolate Factory party, a Harry Potter party, a Gruffalo party, a Curious George party, a Fairytale party, a Rainbow Magic Fairies party and more! The story book party is for anyone who loves imagination, games, prizes and fun by the bucket load. Everyone shall go to the ball with this enchanting princess party! 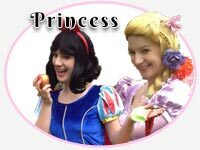 Your little beauties will be pampered and treated like the royal princesses they are with lots of princess ballroom waltzing, ribbon dancing, princess games, princess statues, a royal princess parade, the one and only princess treasure hunt and much more. 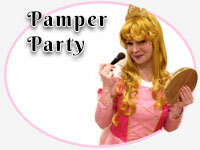 Why not include a glitter pamper makeover as well; a perfect treat for any young princess in training. Simply tell us your favourite cartoon characters and we will create the party of your dreams based on your favourite cartoon friends. We offer a Pepper Pig party, a Monster High party, a Paw Patrol party, a My Little Pony party, a Go Jetters party, a Shimmer & Shine party and many more. If you love pass the parcel, scavenger hunts, balloon modelling, glitter tattoos and themed party games, along with lots of medals, sweets and prizes throughout hosted by your favourite characters, then this is the party for you. Have you ever wanted to be a dancer or a pop star? Well, get your dancing shoes ready for this popular, music and disco filled event. 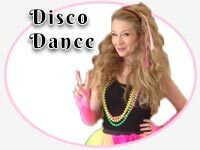 With all of your favourite popular tracks, our Spellbound Disco Diva will get the dancing going, the prizes flowing and the competitions rolling. Your guests will learn some new choreography, audition to be backing dancers for their favourite pop stars, win prizes, sweets and medals and take part in the ultimate competition to become the award winning Queen and King of the dance floor. Simply tell us your favourite cartoon characters and we will create the party of your dreams based on your favourite cartoon friends. We offer a Peppa Pig party, a Monster High party, a Paw Patrol party, a My Little Pony party, a Go Jetters party, a Shimmer & Shine party and many more. If you love pass the parcel, scavenger hunts, balloon modelling, glitter tattoos and themed party games, along with lots of medals, sweets and prizes throughout hosted by your favourite characters, then this is the party for you. Have you ever wanted to be a dancer or a pop star? Well, get your dancing shoes ready for this popular, music and disco filled event. With all of your favourite popular tracks, our Spellbound Disco Diva will get the dancing going, the prizes flowing and the competitions rolling. Your guests will learn some new choreography, audition to be backing dancers for their favourite pop stars, win prizes, sweets and medals and take part in the ultimate competition to become the award winning Queen and King of the dance floor. STRICTLY COME DANCING party also now available! 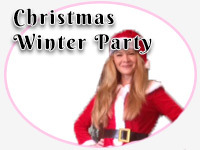 Get into the Wintery spirit with our ‘Christmas’ or ‘Winter Wonderland’ party and have a merry time with your family and friends. The Christmas or Winter Wonderland host will create a party of festive cheer for anyone wanting to celebrate this wintery theme. All of the games, characters, stories, competitions and dances are themed for Winter or Christmas and everyone can celebrate this joyful, jolly time of year with medals, sweets, prizes and festive music. Transform your child’s favourite video game into a themed party full of themed activities, fun and music! Choose from a Minecraft party, a Pokemon party and a Super Mario Brothers party. Our parties creatively turn the video game plots and challenges into practical activities. 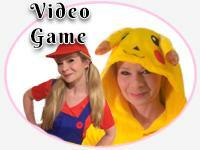 The Video Game party includes themed games, music, prizes, competitions and more! A perfect party for babies and toddlers using music, dance, puppetry and storytelling to enchant and entertain. Mummies and Daddies are invited to join in as your Spellbound Entertainer captures the attention and imagination of your little ones with lots of bubbles, dancing with party props, nursery rhymes, action songs, musical instruments, parachute fun and much more. 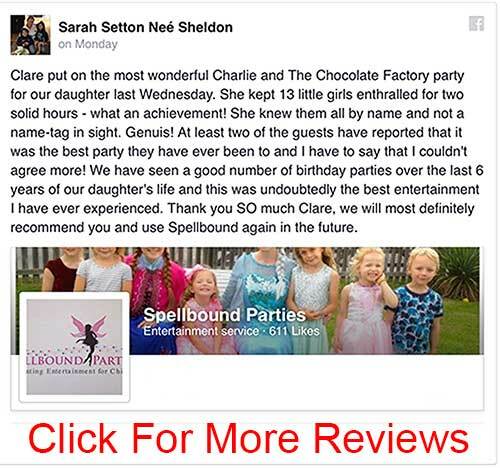 Parties are personalised to the ages of your guests so every baby has a Bouncing time! A party perfect for the summer months or whenever you’d like to bring a little sunshine and happiness to the day. Limbo the day away, surf the waves and hibiscus hula at this summer event. 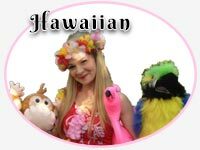 Invite a Hawaiian singing, flower garland wearing entertainer to transport your guests to a hot, hot, hot beach island with lots of dancing, hula hooping, parachute fun, pass the parcel and more, all alongside the best summer chart songs. 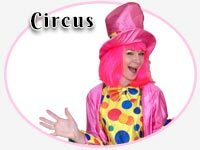 Train to be a circus artiste and invite a Spellbound Crazy Clown to entertain at this fun filled, action packed party. Can you walk the limbo tight rope, plate spin and diablo spin in the fastest relay in town? Are you a keen juggler? Get ready to try acrobatics, ribbon flame throwing and parachute fun at this great party. Your guests will take part in all their favourite games as well as the Circus spectacular events. Lots of medals, sweets and prizes are awarded throughout. Help save the dragons, beat the evil Queen and train to be the best knights in the realm with this action packed party event. 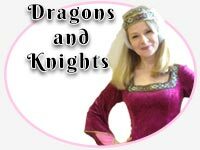 Our Spellbinding Medieval Maid will host your party and take your guests on a historical, medieval adventure at a time when dragons ruled the land and knights were the bravest, most courageous of all the guardians. With all your favourite party games with a Dragon and Knights twist, get ready for a roaring good time. Medals, sweets and prizes are awarded throughout the party. 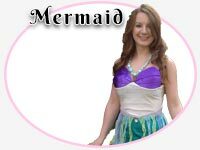 Visit the creatures of the oceans and seas with this ‘splashtastic’ party and invite a land walking Mermaid to entertain all your guests for the day. Ocean bubbles, seashore pebbles, Mermaid pom poms, and many more swimmingly good games are played at this party. With seaside glitter tattoos over lunch and pass the parcel and the Mermaid’s lost treasure awaiting the cleverest of sea minds, this Mermaid party is for anyone who loves all things oceanic and fishy! Your little ones will have a blast being a pirate for the day! Finding treasure and playing lots of pirate games, all led by the Spellbinding Captain. Make sure you have lots of fun, or the Captain might make you walk the plank, scrub the decks, become a pirate statue and take you on a voyage to Alligator Swamp! A mighty time will be had by all sea faring, clever pirates with pirate songs and dancing all the way to Treasure Island. Ooh arhhhhh! Get ready for the next Olympics with this fast paced, sporty party, perfect for all sports fans. The Spellbound Sports Referee will get your guests in training to be the best sports boys and girls in the world. With lots of team relays, traditional party games, footballs, music, races, sweets and prizes, your guests will be zooming around from start to finish at this energetic party. Saddle up for this shoe tapping, line dancing, fun filled party! This is a fabulous party for any cow boy or cow girl who would like a trip to the Wild West! 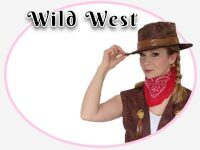 Invite the Spellbound Cowgirl to take your guests through the party games such as pin the tail on the donkey, balloon modelling, dancing competitions and much more. Everyone will get a glitter tattoo during lunch, a balloon on arrival and lots of goddies to take home. Get your horses ready and see you there! Yee haaaaa! Our classic Pyjama party includes all of your favourite games and activities with a sleeping twist! Put on your PJs, bring your favourite teddy bear and invite your guests to play sleeping statues, musical pillows, sleeping lions, relay fun, pass the parcel and much more! Your party can be personalised to include your favourite music throughout with lots of medals, sweets and prizes awarded throughout the party! Don’t snooze the day away. Have lots of fun with this action packed party! 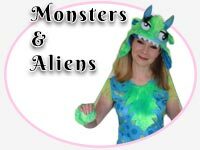 Invite a funky friendly monster from another planet to bring a touch of outer space to your cosmic party adventure. Balloon modelling, funky tattoos, find the alien pass the parcel, space hopper relay, solar system island game, martian rock scavenger hunt, feed the monster game, monster stomp and much more are all included in this monstrous event! Your guests will go home with lots of medals, sweets and prizes and will be talking about what a great time they had all the way back to their planet. 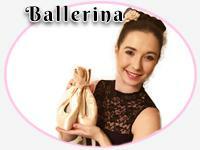 If your child loves Ballet and dancing, then this is the party for you. Our fabulous Ballerina Party, hosted by one of our professional dancers, combines dancing & ballet routines with ballet themed games, traditional party games and dancing props. With classical ballet tunes and modern popular songs, your guests will be spinning and twirling to their hearts’ content. Expect a ‘roaring’ good time with our fantastic Dinosaur party! Invite your friends to take part in a prehistorically fun party which involves dinosaur themed games, traditional games, music and activities throughout. Find the dinosaur eggs, complete the dinosaur assault course, pass the rock parcel, discover the dinosaur treasure hunt and much more at this energetic and dynamic party. 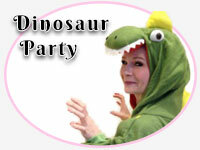 Or book our new Dino Babies party, suitable for 2-3 year olds, enquire for more details. Who is your favourite baddie? Who is the naughtiest of them all? Everyone loves a good villain and so do we, so why not invite your favourite villain or Hero to host your very own ‘Heroes and Villains’ party and invite your guests to dress up as their favourite heroes or villains too. Themed music, party games, pass the parcel, dancing, treasure hunts, prizes, gold medals and much more are included in this party…..but will your guests prefer to be good for the day, or to join the dark side? Mwah ha ha ha! We love animals and if you do too, this is the party for you! 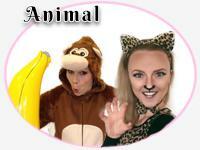 We can design the party games and activities around one particular animal, or lots of animals. Choose from an ‘Under the Sea party’, a ‘Jungle party’, a ‘Farmyard Animal party’, a ‘Bumble Bee & Butterly party’ or ‘Your Favourite Animal’ party. This party will be hosted by one of our human animals and will include animal balloon modelling, animal themed games, animal music and prizes. A ‘Spooktacular,’ non- scary party! A fantastic time will be had by everyone when you invite our friendly Halloween character to entertain your guests at this themed party. Howl with delight when dancing the Monster Mash, try the Zombie Limbo, find the creepy crawlies, enjoy the vampire treasure hunt and much more. All the while cackling with delight and dancing to your favourite Halloween songs. Have your guests galloping over the glittery rainbow with our wonderful ‘Unicorn party’. Our Unicorn entertainer will guide the children in a Unicorn adventure with lots of unicorn dancing, unicorn themed games, treasure hunts, glitter tattoos, dancing, bubbles and Unicorn fun. Choose between our ‘Unicorn party’ or ‘Unicorns and Dragons party’ to give your guests a magical, glittery party to remember. If you can’t decide what theme to choose or you have something in mind that you don’t see in our many examples please contact us and we can discuss your ideas further.